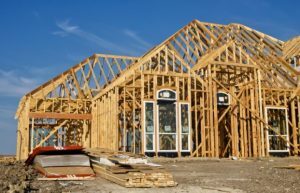 The construction industry in Kitchener, Cambridge, and the Waterloo Region is benefitting from a red hot real estate market on the outskirts of the GTA. As the price of a single-family home skyrockets across the GTA, people are looking further afield. Combined with attractive lifestyles and growing economies locally, that means there’s plenty of demand for housing. There are also plenty of homebuyers who are looking for the perfect place to live in Kitchener and the area, not just settling for a “drive until you qualify” home. As you start new housing projects, consider some of the latest trends for window installations that are going to catch the attention of new homebuyers. Building style blog Modernize is predicting the continued importance of natural light in 2017, saying that picture windows as well as floor-to-ceiling windows will play a big part in bedrooms and living rooms. Picture windows will continue to be popular in home starts based on traditional architecture, but as more custom houses in southern Ontario are based on contemporary influences, the floor-to-ceiling style is becoming more and more common. When you’re installing large windows that will really open up a home to natural light, it’s important to take daylighting into consideration. Large southern or western facing windows can actually lead to too much direct sunlight, creating hot, uncomfortable temperatures in the summer. Eastern and northern windows provide more diffuse sunlight, bringing in the daylight without increasing the temperature. Energy efficiency is no longer a luxury in a new home, it’s quickly becoming a standard expectation. Windows with a Low-E coating can help significantly reduce hydro bills, while new vinyl windows also provide superior insulation. Locally, you can find energy efficient vinyl windows from Golden Windows, a window and door company Kitchener builders rely on to supply their new construction projects. In addition to showrooms in both Kitchener and London, they also have a showroom and installation professionals located in Kanata, Ontario, serving the Ottawa Valley. Besides Low-E coating, Golden Windows also sells argon gas-filled windows, which are likewise proving popular with Kitchener builders, as they provide further energy efficiency. The affordable, non-toxic gas is sealed in between the panes and separates air at two different temperatures, i.e., cold winter air outside and warm air inside. This prevents heat loss, fogging and icing, and the wear and tear that comes with it. Argon gas is heavier than air, so it improves the R-value of the window, minimizes heat exchange, and it’s non-corrosive, unlike oxygen. In addition to preventing heat exchange, argon gas also helps reduce noise, meaning it’s a must-have for homes on busy roads. As a home builder or contractor, working with a local manufacturer like Golden Windows in Kitchener to find materials for all the latest window trends in 2017 will keep your projects on schedule and homebuyers happy. Homebuyers are looking for contemporary homes with energy efficient technology that will keep their homes comfortable and their hydro bills down for decades to come. Energy efficient windows are a must-have in any new home.